At the start of this year I set off on a mission to get Flickr out of my life. 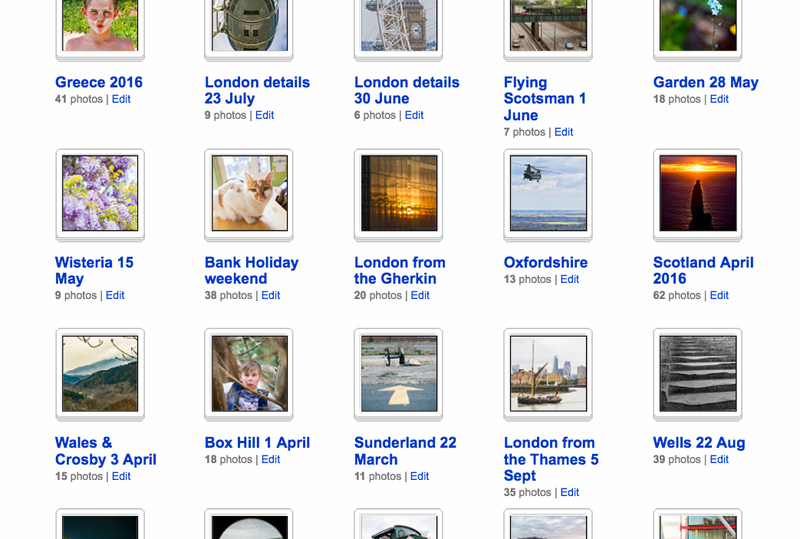 I am a big, big user – very far into six figures of photos uploaded. It’s one of several tools I use, online and off, to make sure my archive is accessible instantly from wherever I am in the world. I’d started looking for a successor several times – each time determined that me and Flickr were definitely, finally through – and that it absolutely wouldn’t survive by doing what it was doing. Which was, in a line, pretty much nothing. Hence the need to get my stuff off there, and to somewhere that might still be around in a few years. It wasn’t what it could have been, of course. But Flickr has never been what it could have been. It could have grabbed “social networking around images” before Facebook. It could have innovated on “making your pics look great” before Instagram. It could have provided beautiful showcase galleries before Exposure (the one I use for easy, pretty sets). It could have beaten Google Maps to the creation of a vast geolocated image repository. It could have added a full stack of hosting, library, sharing and commerce functions before PhotoShelter and SmugMug. But it didn’t. Why that was, when it had the headstart and the talent, will always be something of a mystery to me. And now the last of that list – SmugMug – has bought it. I’m not a SmugMug user – as an event photographer I use one of its close competitors for some of its distribution and commerce functions. But I’ve seen lots of good things made with it. Many photographers use it for their whole online presence – site, sales and all. It’s packed with features. For the sake of my now-inherited archive, I hope it’s in a good position financially. It should be – it’s always had a reputation (unlike Flickr) for charging sensible fees for sensible services. That will be an interesting cultural issue for integration, as Flickr gave you an awful lot for free. Now, I accept that I’m not a typical user, but I’d have paid over and over again for Flickr to give me a proper professional set of services. Maybe that time will come now? But paradoxically, the thing that’s always been the most frustrating feature of Flickr – that total absence of product development – may also have been a trump card. It still works pretty much as it did when I opened my account a decade ago. No convoluted feature creep. No sudden pivots. No weird changes of architecture or interface. Just a solid hosting service, reasonable display across devices, and superb curation functionality. This is what has really made it irreplaceable for me. Sure, I can take all my photos to Google Photos or Amazon, but they don’t offer the wealth of tagging, grouping, nuanced access permissions and licensing that Flickr does. Heaven help SmugMug if they muck that stuff up as they go about bringing their low- and no-paying Flickr folk into their new plans. For one thing, a huge chunk of the Wikimedia Commons (the archive that powers Wikipedia’s images) is grounded on Flickr’s support for Creative Commons licensing. Messing that up would be a loss not just to users, but to the web as a whole. To summarise, I hope it’s good news. It’s certainly better than the unsustainable situation. But it’s also a great example of the tension in digital product development. We want things to keep getting better (or we’ll hop to a competitor) but we also want the bits we like to stay exactly the same.